I am a big believer in relying on brands that excel in certain products. Lancome excels in many areas and one area in particular - mascaras. Personally it's been a long time since I have used Lancome products but they are making a reappearance in my collection and the quality of the products is really impressing me. 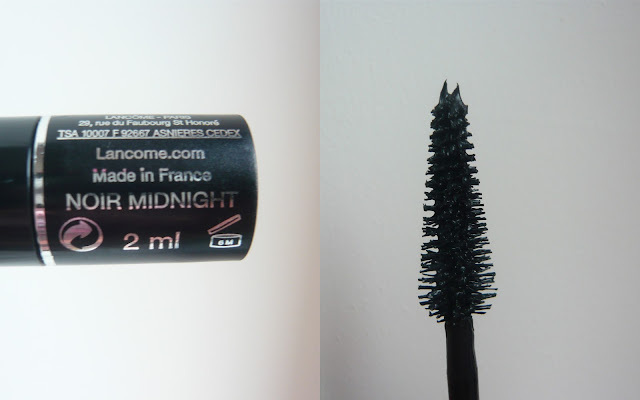 During a recent Lancome splurge I was given their new mascara Lancôme Hypnôse Star to try. With this mascara, Lancome are reinventing glamour with the help of Betty Boop and Daria Werbowy - personally I don't really know who Daria is but Betty Boop is the definition of girly glamour. The mascara has two sides - the flat side applies the mascara onto the lashes and the oblique side combs through separating and lengthening the lashes. The mascara is supposed to create show stopping eyes concentrating on volume and curl. 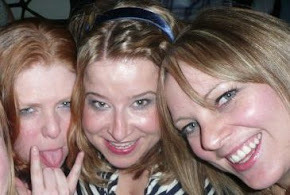 If you follow this blog you will know that my lashes are not the best in the world but they have curl. Lancome have used two different waxes to create a lasting curl in the lashes - the curl is "set" in place. I found that the mascara is incredibly black - just what the doctor ordered - and increases the volume making my lashes look fuller and thicker, all while feeling light on the lashes. The mascara doesn't shed during the day. I love the volume that the mascara creates - my lashes look fuller and thicker. Personally I would prefer a lengthening mascara - when you achieve a brilliant curl in a mascara you sacrifice a bit of length. If you're looking for a curl or to give your lashes a bit of oomph - give Hypnose Star a try. Lancome Hypnose Star is out now and costs €26.00. What Lancome mascaras do you recommend for length - without losing the volume that Hypnose Star creates?